HTG Molecular Diagnostics today announced a master services agreement with Daiichi Sankyo and a research agreement with France’s Centre Léon Bérard, both covering separate projects to develop targeted therapies. The agreement with Daiichi Sankyo covers several projects to be performed for the pharma giant through HTG’s VERI/O laboratory service, designed to support biopharma clients and collaborators in biomarker research and companion diagnostic development. In the initial project for Daiichi Sankyo, HTG said it will use its HTG EdgeSeq technology to develop a custom assay for detecting nearly 3,000 mRNA targets. Launchedin 2014, HTG’s EdgeSeq product line automates sample and targeted library preparation for next-generation sequencing. Upon completion, the custom assay will be used to generate data from formalin-fixed, paraffin-embedded (FFPE) samples. Daiichi Sankyo plans to use that data to identify a tumor profiling assay for future studies under the agreement, HTG said. Daiichi Sankyo also has engaged HTG to process several hundred FFPE samples in a research use only mode for exploratory research on new, potential therapeutic biomarkers, using the HTG EdgeSeq ALKPlus Assay EU. On March 22, HTG said it obtained CE marking in the European Union for the in vitro diagnostic assay, which is intended to measure and analyze mRNA ALK gene rearrangements in FFPE lung tumor specimens from patients previously diagnosed with non-small cell lung cancer (NSCLC). Separately, HTG said it entered into a research agreement with Centre Léon Bérard that will provide the framework for molecular profiling studies aimed to advance precision medicine. The initial project under that agreement will use the HTG EdgeSeq Oncology Biomarker Panel to retrospectively characterize immunologic profiles from advanced malignant tumor samples collected in the ProfiLER study. The panel is designed to profile 2,560 genes, 24 groups and pathways. According to Centre Léon Bérard, ProfiLER (NCT01774409) aims to implement a personalized cancer medicine approach by establishing the genetic and immunologic profile of the tumor for patients with an advanced malignant tumor. The study’s goal is to define a map of genetic (for the pre-identified target genes) and immunologic profiles for all the studied types of cancer. 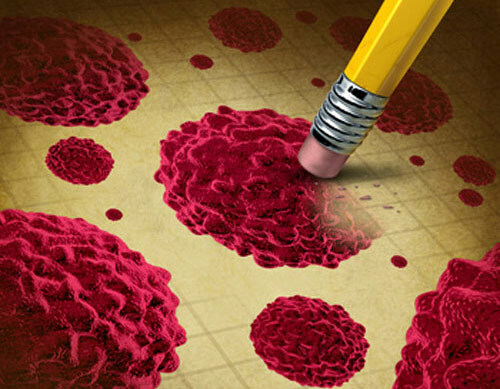 The genetic and immunologic profile of the tumor will be determined from archival or freshly collected (biopsy of a reachable lesion) tumor samples and from a blood sample. “We believe this immunogenic profiling of tumors, led by Dr. Pierre Saintigny (M.D.) within the Department of Translational Research and Innovation, will allow us to identify biomarkers with a potential predictive value and to determine if some genetic disorders are linked to immunity status alterations,” stated Prof. Jean-Yves Blay, M.D., Ph.D., director of Centre Léon Bérard. Located in Lyon, France, Centre Léon Bérard is a member of the French Federation of Cancer Centers and UNICANCER, which brings together 20 French hospitals that specialize in the treatment of cancer patients. “Our HTG EdgeSeq chemistry is well suited for the initial project because it will allow Dr. Saintigny and team to perform molecular profiling on small FFPE samples, and we believe the project sets the stage for future diagnostic opportunities arising from this collaboration,” added Jean Claude Gerard, HTG’s vice president of European operations.